It’s Monday. We know, we know, you need a little something extra to help you get through the day. Well, if you can hang in there till tonight, Sportsbet has greyhound punters covered at Shepparton and Grafton. 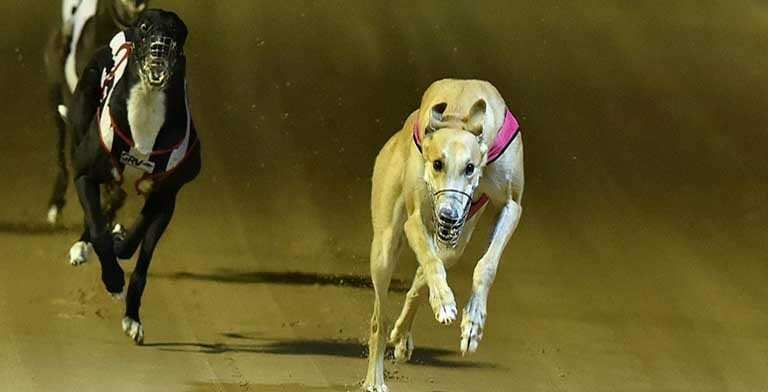 In a day of daylight savings-induced pain, the Aussie bookmaker has delivered a nice little bonus suite for two big meetings at two of the country’s biggest greyhound tracks. 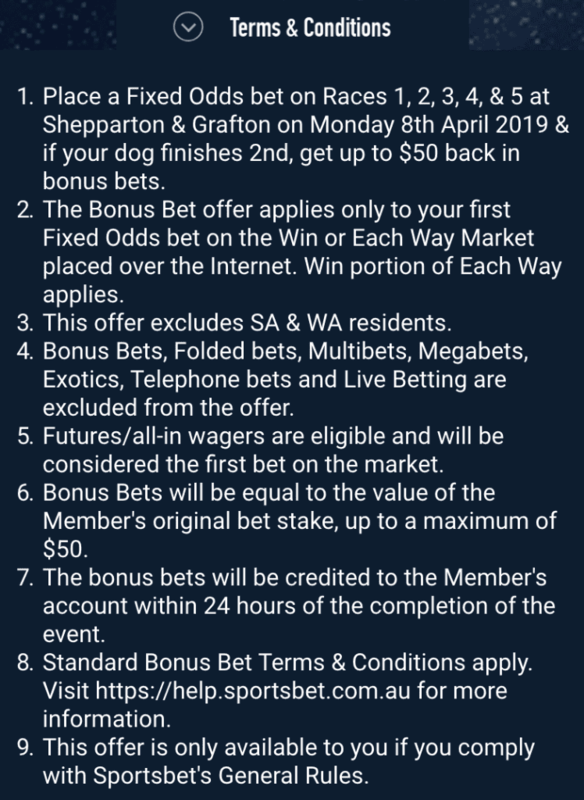 Thanks to Sportsbet, if you back a fixed odds runner in the first five races on the card at either Shepparton or Grafton and your dog goes on to break your heart and finish second, you’ll get up to $50 back in bonus bets. The deal does not include South Australian or Western Australian residents due to state legislation and you should read the terms and conditions below before gambling responsibly. 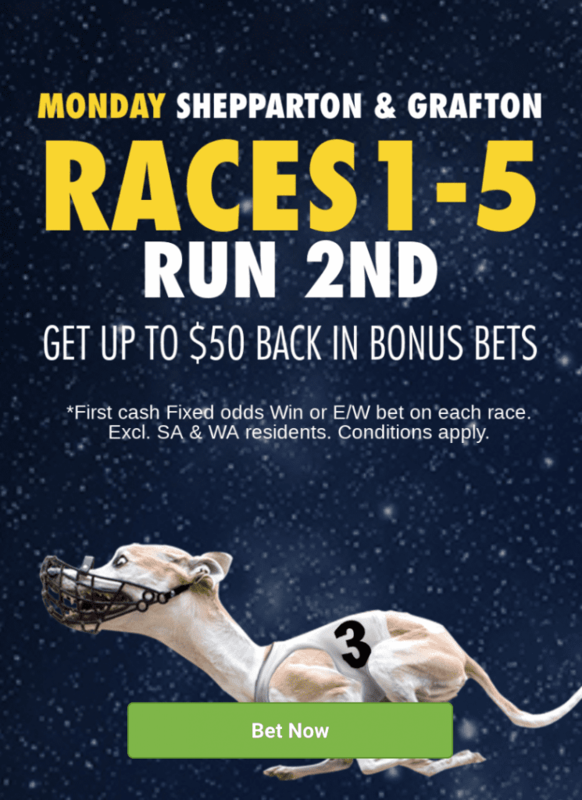 The 10-race card at Grafton kicks off tonight at 6.12pm AEDT, while the 11-race Shepparton meeting is not far behind at 7.07pm.